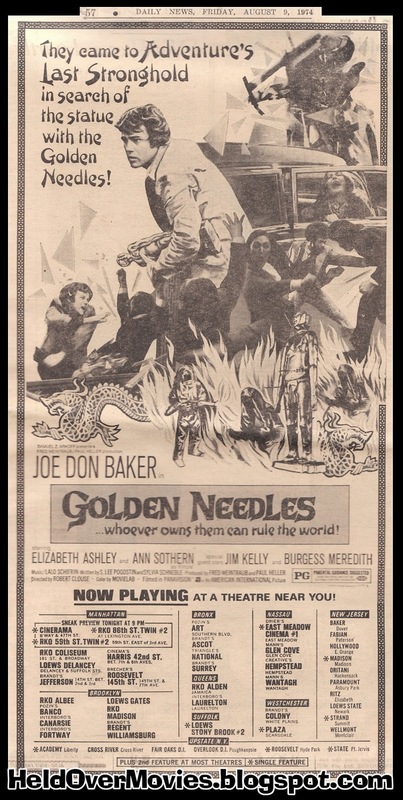 Scanned from my copy of the New York Daily News, dated August 9, 1974, comes this full-page ad for "Golden Needles." 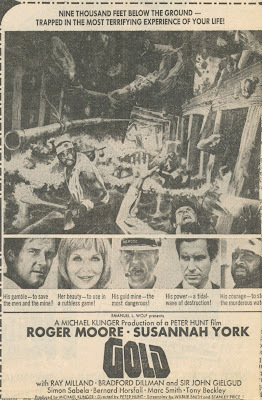 The headline of the paper was "Nixon Resigns" in big bold print. 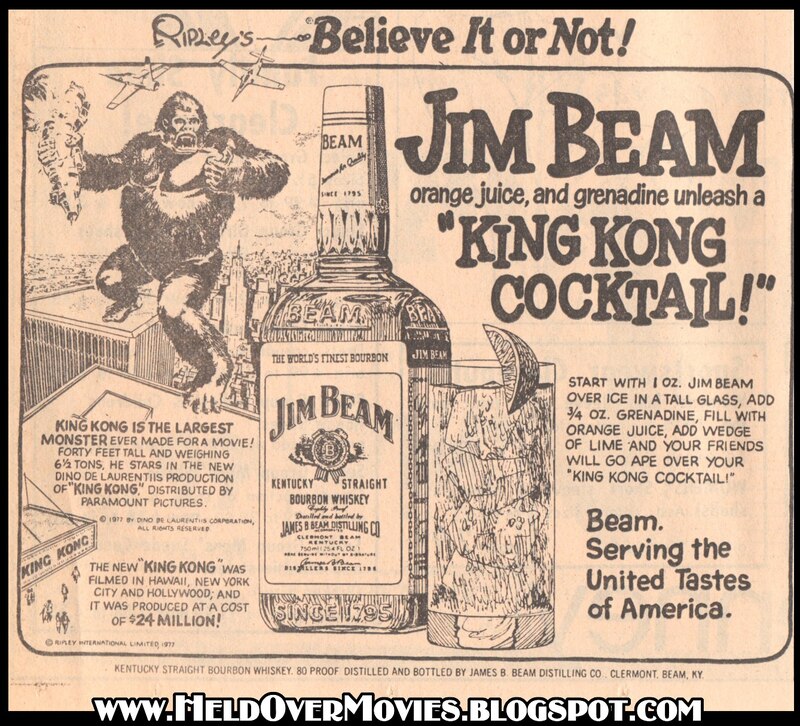 From The Pittsburgh Press, Tuesday, Dec. 26 1972, comes this ad for "The Naked Countess." From the Friday, August 19th, 1977 edition of the Chattanooga News-Free Press, comes this ad for "The Spy Who Loved Me." 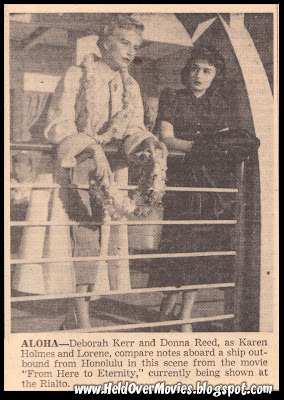 This was out only about a week after Elvis had died. 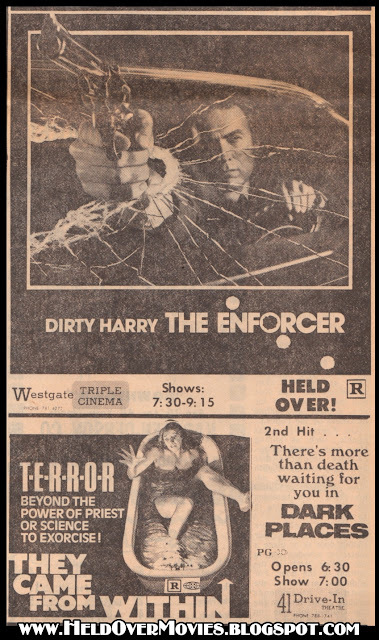 Double movie ad with Dirty Harry's "The Enforcer" and the horror flick "They Came From Within," scanned from my yellowed copy of the Macon Telegraph from Friday, January 14, 1977. I went to see that showing of "The Enforcer." 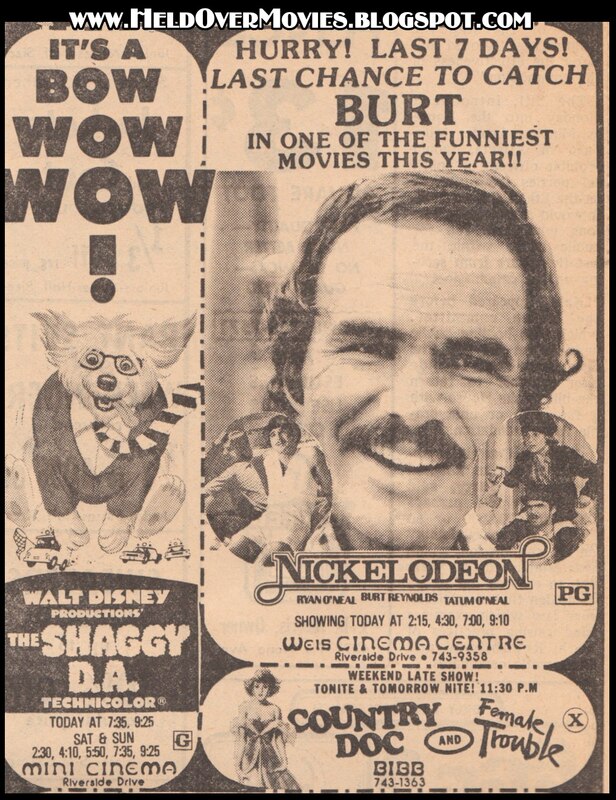 From The Macon Telegraph, Friday, January 14, 1977 edition, the ad for the movie "Nickelodeon," plus some others, including Disney's "The Shaggy D.A." 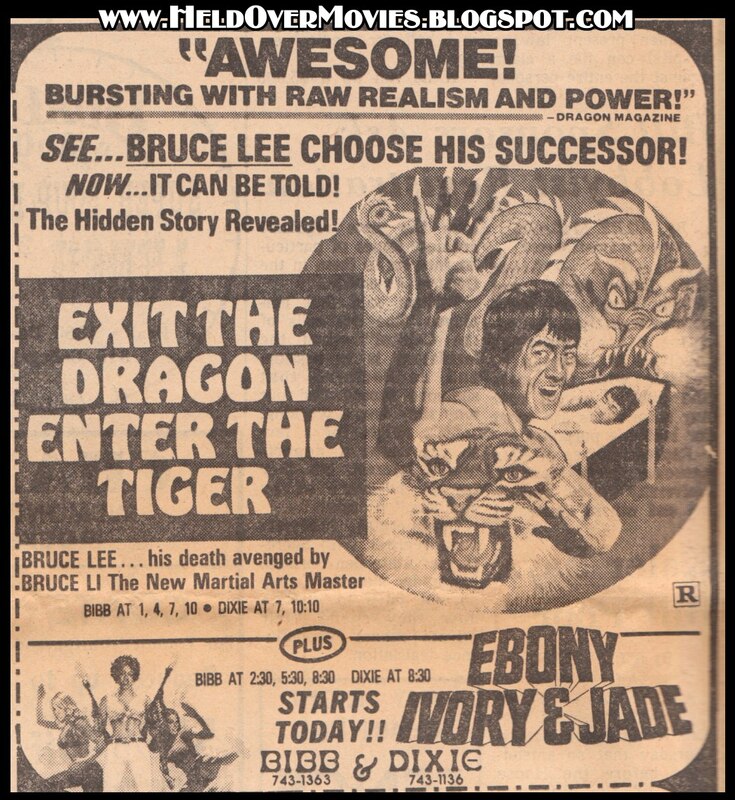 Notice the "x" rating on the last two that played late at night at the Bibb theater. 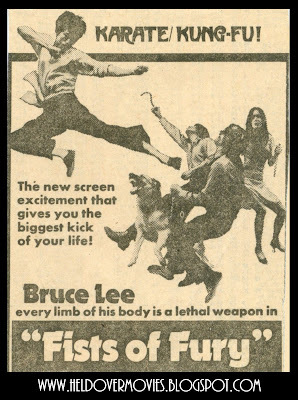 That was the 70's for you. 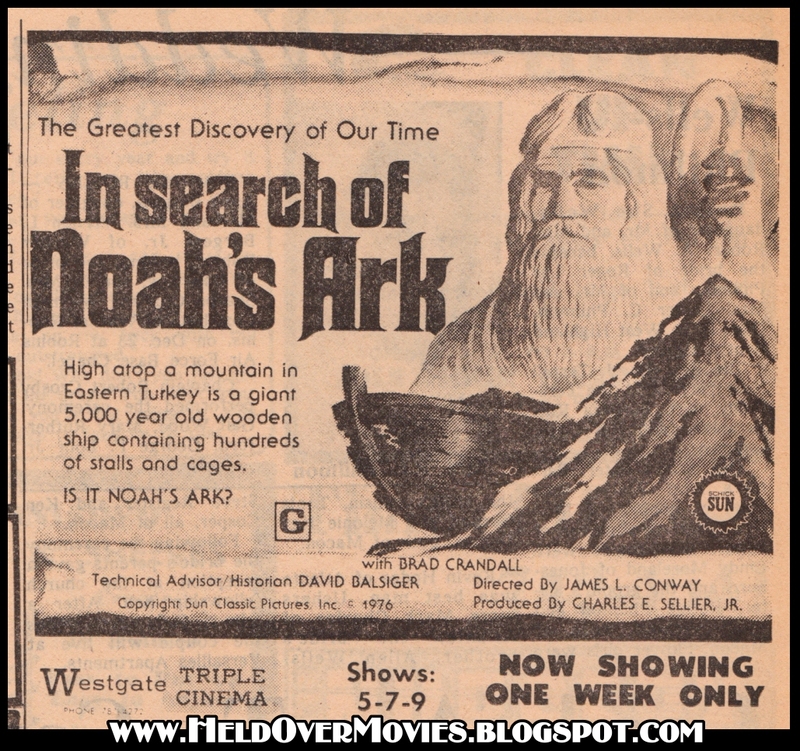 From The Macon Telegraph, Friday, January 14, 1977 edition, the ad for the movie "The Search For Noah's Ark." 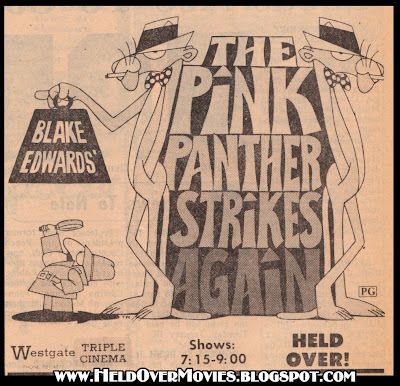 From The Macon Telegraph, Friday, January 14, 1977 edition, the ad for the movie "The Pink Panther Strikes Again." 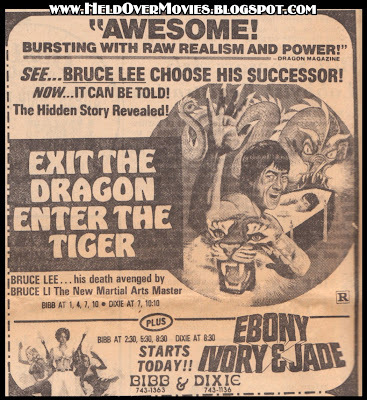 From the Jan. 14, 1977 edition of The Macon Telegraph, comes this ad for one of the many "new Bruce Lee" films that followed in the wake of his death. Hot on its heels is a film I'd like to have seen; "Ebony, Ivory and Jade." From my copy of the Macon Telegraph, dated Friday, January 14, 1977, comes these two kong-sized items; first, the ad for the "Held Over!" 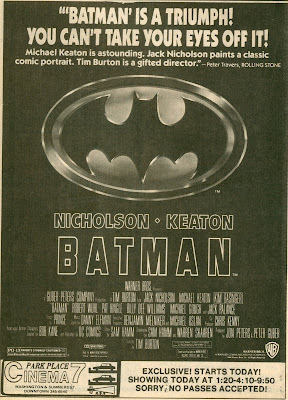 movie in it's "5th Smash Week!" 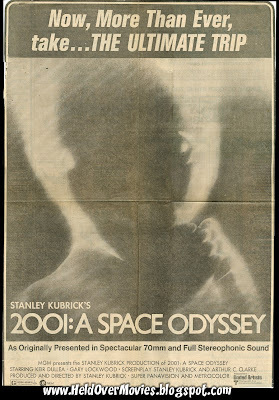 I took a date to see it at that very theater; I remember the movie more fondly than the date. 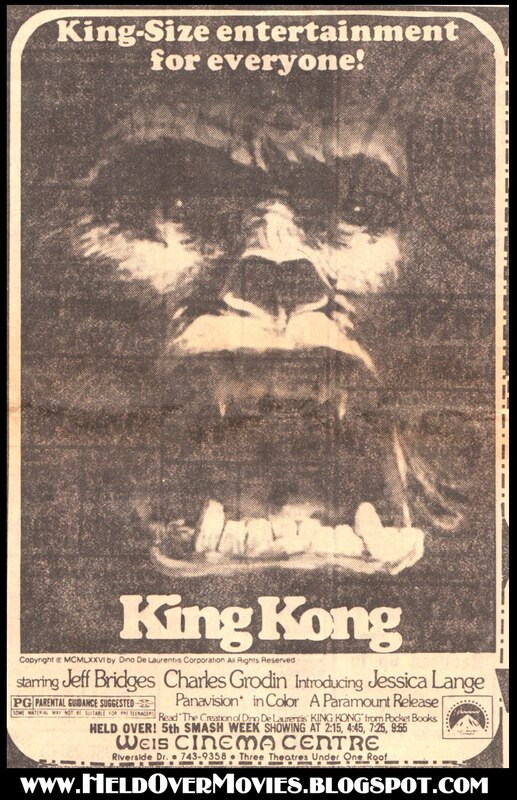 It's pretty bad when a big hairy ape is more memorable than someone you are taking out! 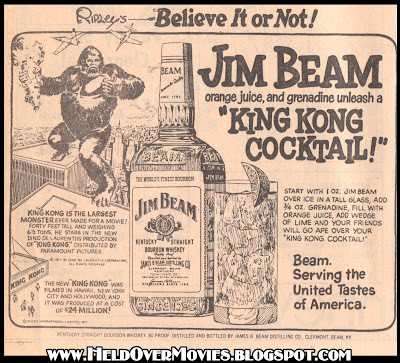 And a unique Jim Beam ad that ties in both with the movie and "Ripley's Believe It Or Not." 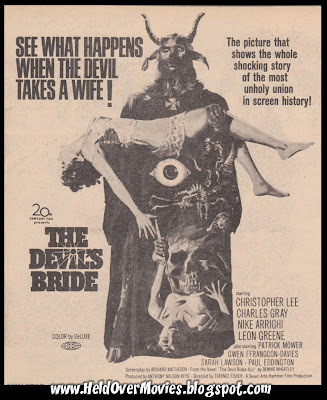 This time we look at the admat for the 1968 Hammer film "The Devil's Bride," which the distributor apparently thought was more lurid and appealing than the orginal British title "The Devil Rides Out." 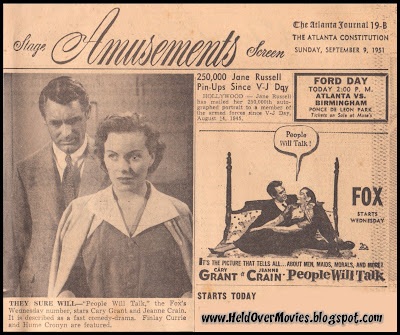 They probably thought more people would be attracted to the idea of the devil's honeymoon than a midnight ride on his favorite steed, possibly to get a snack. 1953 Ad For "From Here To Eternity"
From my copy of the Atlanta Journal/Constitution dated November 29, 1953, comes this ad and photo writeup on the film "From Here To Eternity." From my copy of the Sunday, September 9, 1951 edition of "The Atlanta Journal/Constitution" comes this set of ads for "Pickup" (can you say "cheap floozie?") and "Captain Horatio Hornblower." 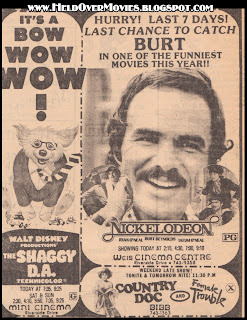 Yes, "People Like Movies!" 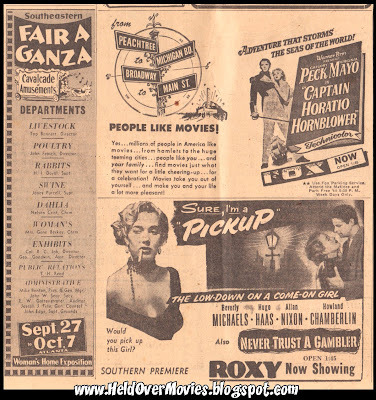 I included the ad for the "Fair A Ganza" since I have no clue how they came up with that word thinking it made sense. 1951 ad for "People Will Talk"
From my copy of the Sunday, September 9, 1951 edition of The Atlanta Journal/Constitution, comes this ad and photo from "People Will Talk." 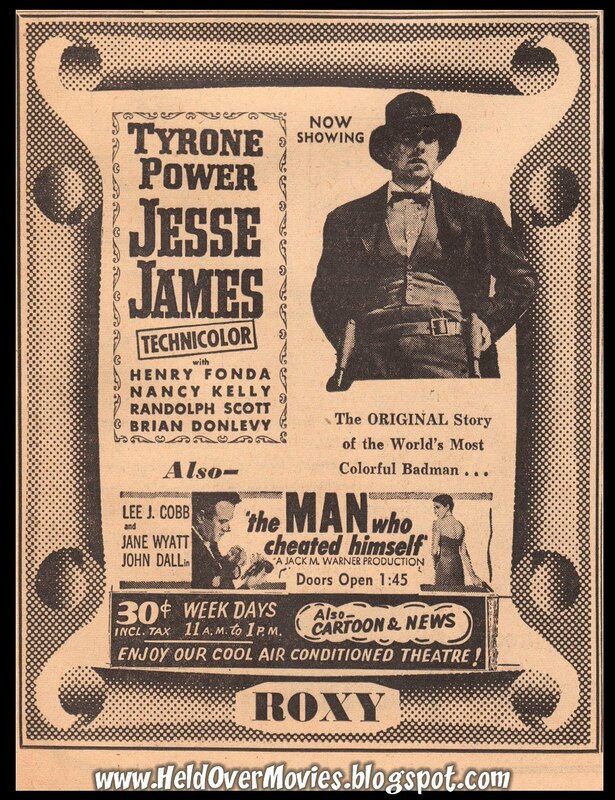 1951 ad for "Jesse James"
From my copy of the July 8th, 1951 edition of the The Atlanta Journal/Constitution comes this ad for "Jesse James." 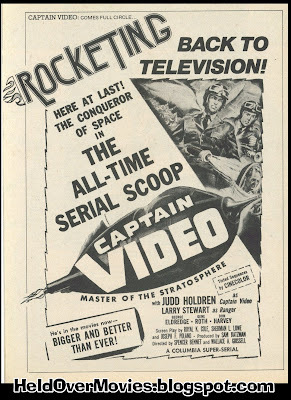 Well, I'm back for a little while with some new ads, having found three old newspapers from the early 50's with the movie pages intact. I'll be posting them all in coming weeks, so come back soon! 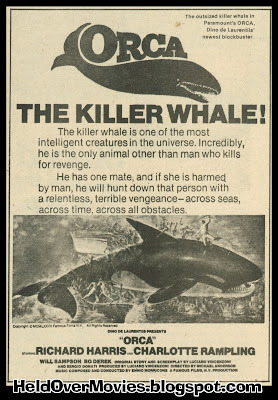 I find the hyperbole in this ad amusing... "One of the most intelligent creatures in the universe." Really? Then why aren't they creating land vehicles that they can ride out of the ocean and kill us from? 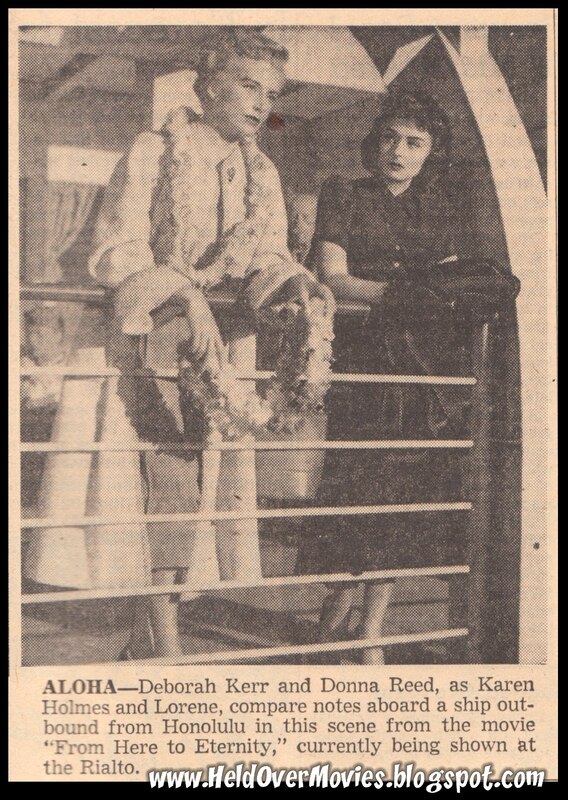 And I love how they will seek vengence "across seas, across time, across all obstacles." Okay, over seas and time I'll grant them, but just sit on the beach beyond the high tide mark and you're pretty safe. 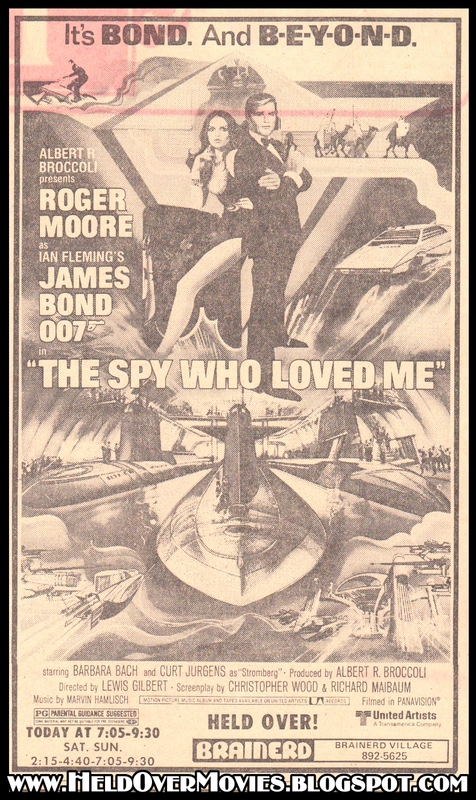 They're not even gonna whip out a second-hand harpoon gun and shoot you. 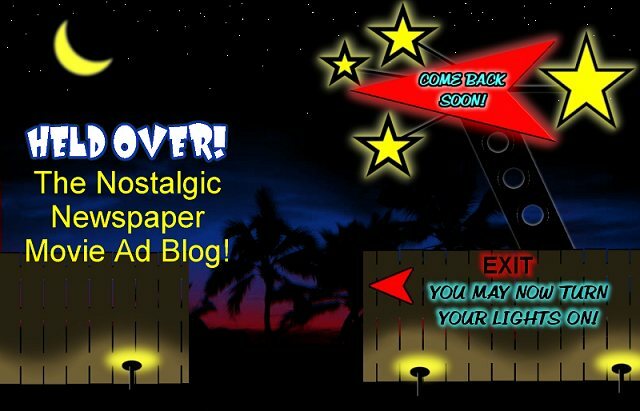 UPDATE: I know my regular visitors have been wondering why the lag in entries; and the simple fact is that I have just about exhausted my collection of ads to post. If I run across more, either already in my collection, or if I add some more during my searches in flea markets and antique shops, I'll post them here. So check back occasionally! 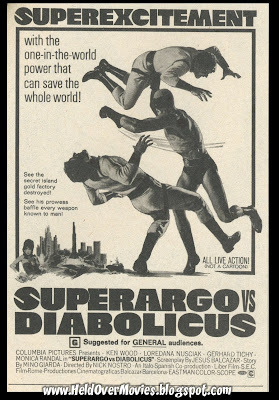 Admat for the Italian wrestler/superhero Superargo film from 1967. 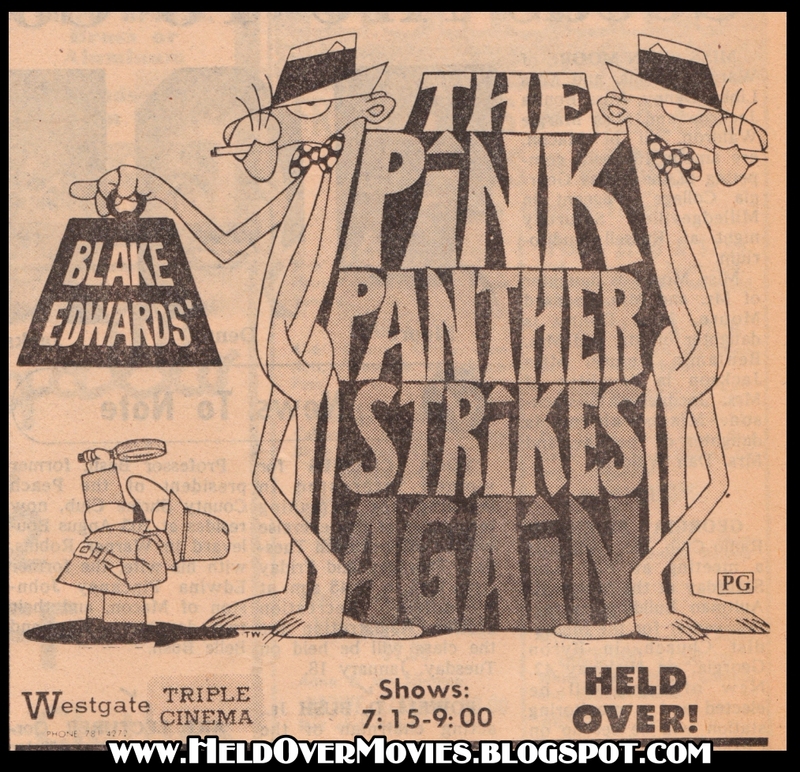 Scanned from a full-page ad from the Ft. Lauderdale Sun-Sentinel for the re-release in the summer of 1977. Clipped from the Macon Telegraph (GA) sometime in 1972. The exact date is not known. Also known as "The Big Boss." 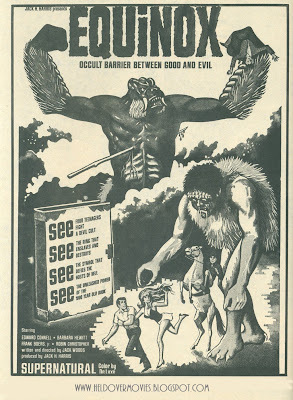 The famous admart art for "Equinox" the movie that started out as an ultra-low-budget 1967 amatuer film short. 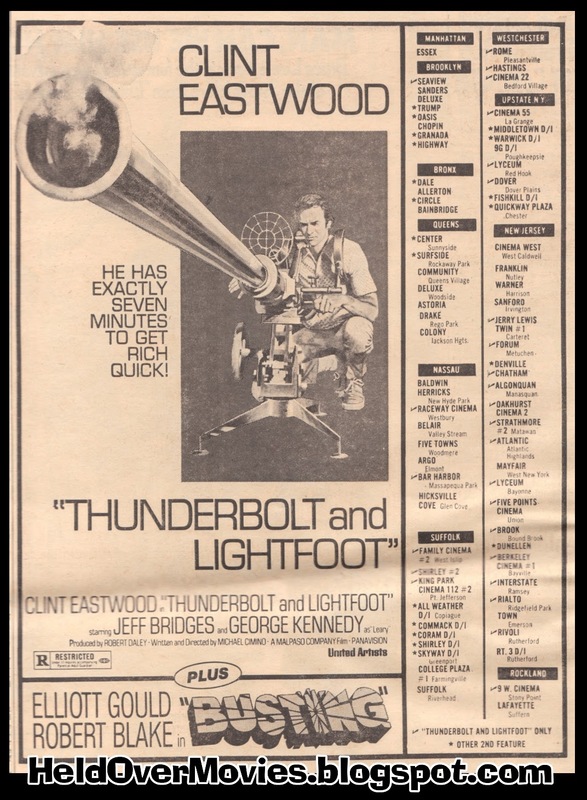 It managed theatrical release in 1970 after being discovered by a Hollywood producer and increased up to minimum running time with newly-filmed footage. 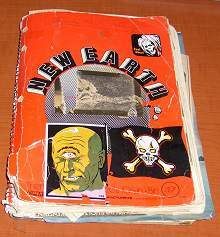 Read the Wiki page for complete details. 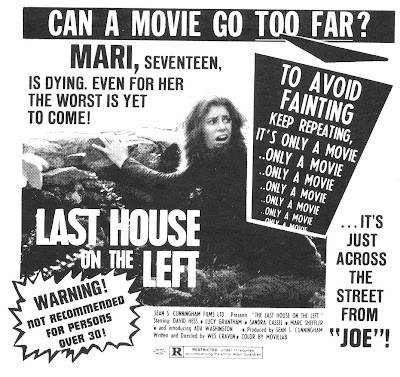 Admat for "Last House on the Left," released in August of 1972. 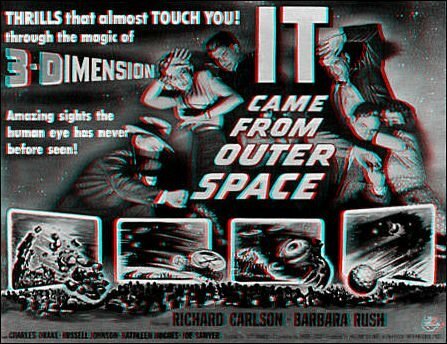 This landmark low-budget film shocked the audiences and put Wes Craven on the horror-fan's map. 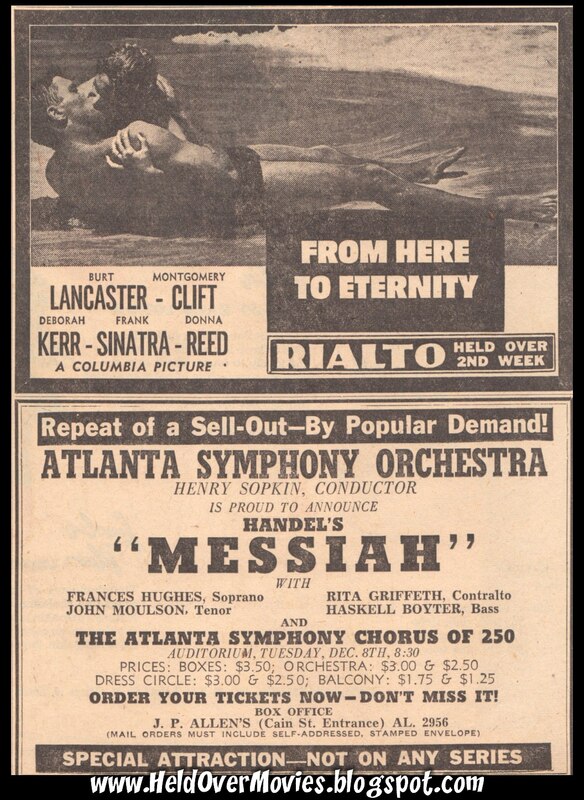 Clipped in October of 1974 from a Macon, GA newspaper. 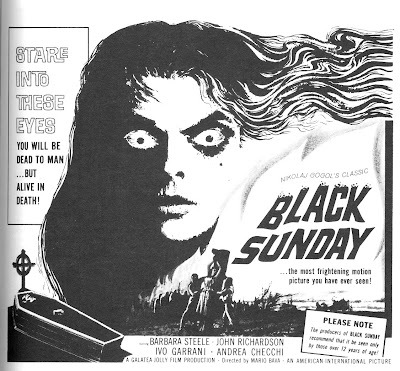 Admat for "Black Sunday," Bava's breakthrough 1960 film. 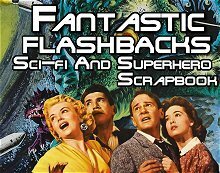 Read the longer post on the anniversary over at my other blog, Fantastic Flashbacks!